Home » Double Glazed Sash Windows • Sash Window Decoration • Sash Window Refurbishment • Sash Windows • Timber Sash Windows » Timber sash windows: What are the options for upgrade and refurbishment? London Sash Window Repairs Ltd maintain, repair, and upgrade timber sash windows. We offer timber sash window refurbishment, draught proofing, renovation, double glazing, and decoration to existing timber sash windows. We can also entirely replace timber sash windows, using the latest technology to make your windows noise and sound proof as well as uprated the security. Refurbishment probably covers both renovation and decoration in one. However whilst we are renovating and decorating, we will also install a draught proofing system. Our total refurbishment package is an all in one solution for timber sash windows. Our refurbishment process is comprehensive. A breakdown of exact procedure and order can be found below. 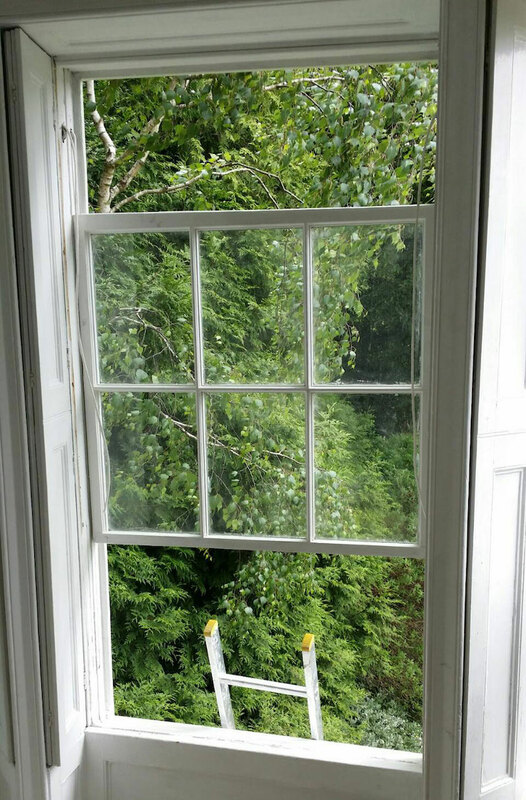 Prior to removing your sash windows for process, we will check the alignment of your sash to the head of the window, and to the meeting rails. Often in London movement will result in wonky sash windows which leaves huge draughty gaps and reduces the overall security of your timber sash windows. This isn’t a problem if the windows are handled correctly. We will shoot sashes to fit snugly against the top of the frame. A clear example of shooting in of your sash can be seen here. Once we’ve worked out the correct machining to bring alignment we will test the counterbalance of your sash windows. This can only be done two ways – if your sash windows are currently functioning. If they aren’t, or the cords have been snapped, we will individually weigh each sash against it’s weights, as we take the windows apart. It’s important to get counterbalance right. It’s the basis for smooth travel of your sash window, and helps keep the top sash pulled tightly against the head of your timber sash window. This improves our draught proofing system and helps with security once we fit Brighton fasteners as part of our overhauling and timber sash windows draught proofing process. 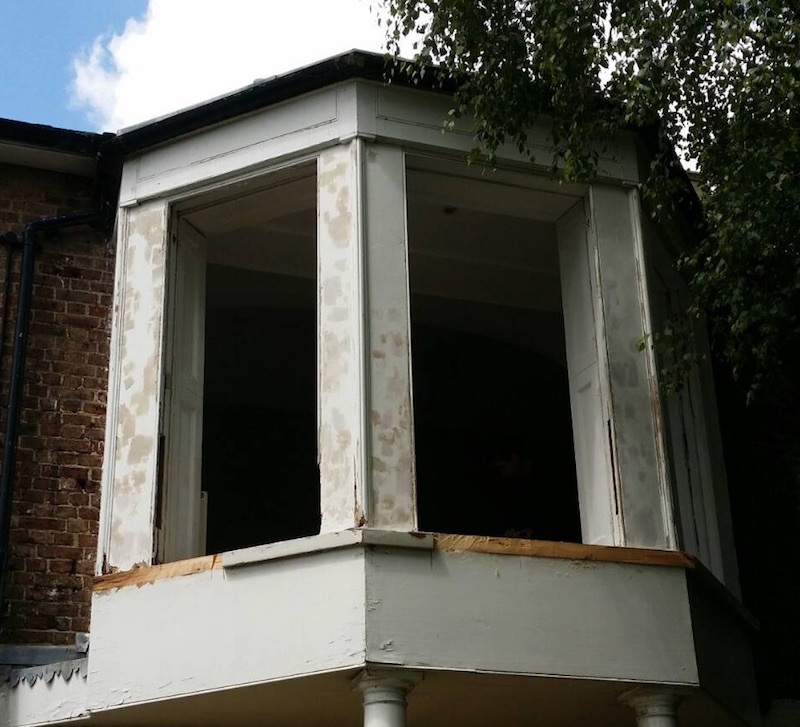 Remove timber sash windows and prepare frames ready for priming and undercoat. Once we have the alignment and counterbalance in order, we will remove your sash windows. 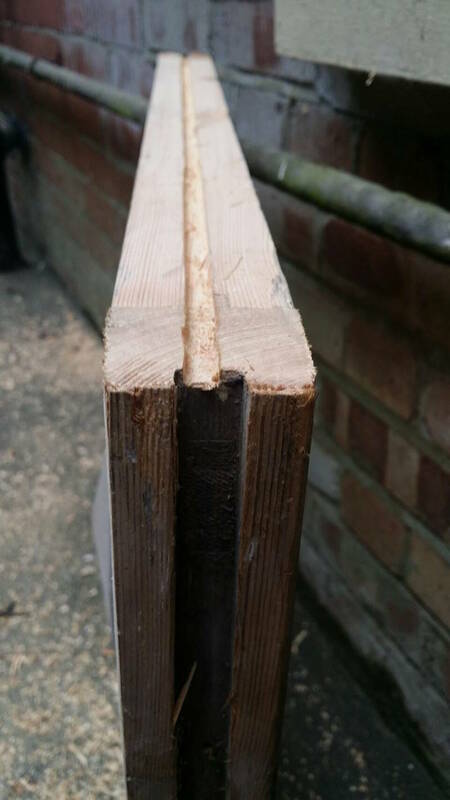 This exposes the frame for easy preparation and repairs such as timber splicing and sash window sill replacement. If you’d like to learn more about sill replacement and repair please take a look at this sill replacement page. It also means that we do not require costly scaffolding to refurbish your timber sash windows. The sashes will go to the mobile workshop for machining and installation of the draught proofing system. 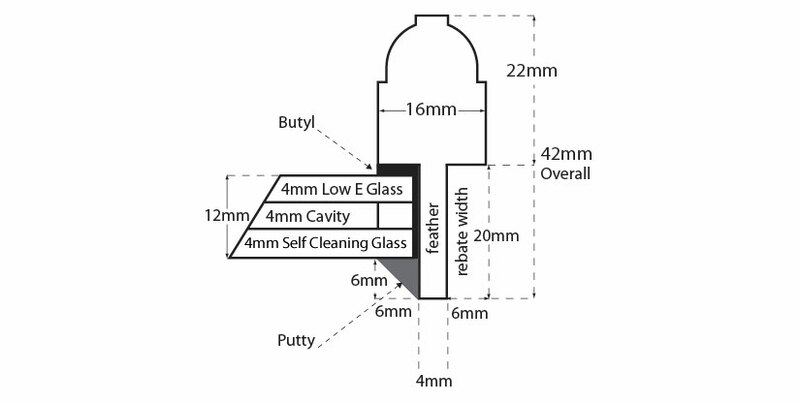 If you’d like to learn more about draught proofing and see interesting diagrams which show the whole sash window draught proofing process and how we install the system then please visit the page provided in the link. Once sash window repairs are effected to frames, and they have been primed, and the sash have been machined for alignment and draught proofing we will then prepare the sash ready for decoration. A few years ago we changed up our process to be more efficient. Once the undercoat has set we will rebuild your sash windows prior to gloss. There is good reason for this. In a perfect world, and 30 degree sun, gloss will set quite quickly, but if the temperature drops, the finish can be smudged and spoilt too easily. The better solution for sash window decoration is to gloss the external of hard to reach sash and frames first, allowing those to set while we concentrate on other windows with easy ground level access. 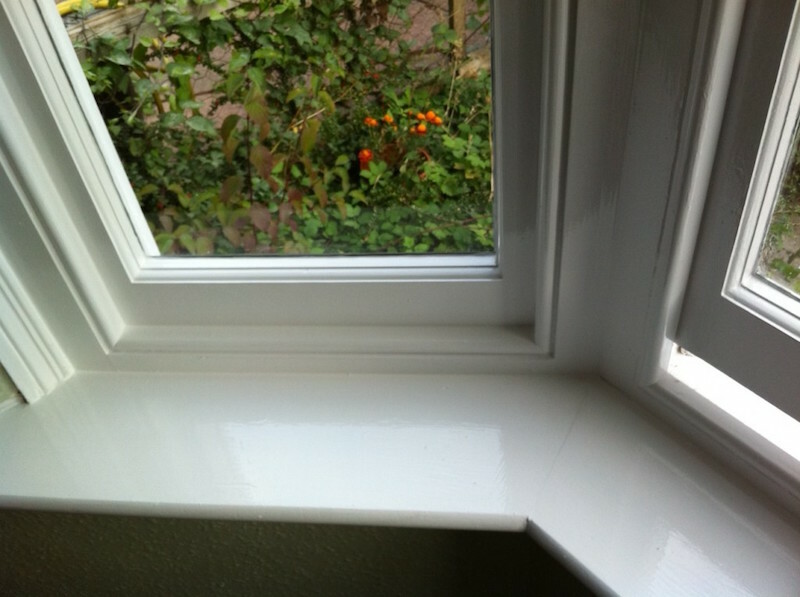 We will build the window fully in advance, and then gloss the sash afterwards so that you get the best finish possible. For a more complete understand of sash window decoration in London please take a look at the link provided. Once the gloss sets on remaining windows and frames we will build those, and then gloss internally. This leaves your timber sash windows looking as good as they can. Now that both sash and frame are ready to decorate, in one sweep we will prime, and then undercoat your timber sash windows. We use Dulux Weathershield for undercoating and gloss work. The use of cheap paint is a false economy and we highly recommend, you do not do so. Dulux Weathershield is likely to last five years and up. Some South facing windows might not make it that long, but most will, and beyond. It is a well known fact low quality paint can start to blister within 12 months. This leaves your timber exposed to rain, which will allow wood decaying fungi to damage your joinery. There is no value in cheap paint. The purpose of paint isn’t just to make your windows look brilliant, it’s there to protect for years to come as well. Here’s a typical example of how we finish sash windows with our top decorating package. Painting timber sash windows to a high standard. This window has been fully refurbished with a draught proofing system installed as well. Normally a window will cost £500 to overhaul, draught proof, and decorate. It represents good value when considering the cost of replacement. London Sash Window Repairs Ltd provide a double glazed timber sash window service ranging from use of existing sash window joinery and double glazed unit installed, to complete timber sash windows replacement. We prefer to double glaze your existing timber sash windows and the entire process can be found in the link. This service can be combined with sash window refurbishment, so your original windows can be repaired, draught proof, double glazed, and then decorated all in one go. The approximate cost for this service is around £680-£880 per window, although the quote will be itemised highlighting exact areas of cost because sash window decoration is something anyone can do as long as time and patience is applied. If you’d like to learn more about sash window costs then please visit our page. This means there is an opportunity for you to decorate your own sash windows if you wish, and we will work out a number of ways in which we can help with that, be it from machining the sashes and screwing back in position so you might decorate at your leisure, to simply offering complete advice on the process to decorate your sash window without the need for scaffolding, in any situation. If you own a listed property then there are a few other considerations. It’s quite likely alteration of the timber structure or replacement will be a no go, or at the very least, you’ll have a real battle to make something happen. The is options for glazing though, and new double glazing technology, which is discussed in great detail for it’s benefits and draw backs in the resource highlighted. If you haven’t the time for a long read then the image below sums up that article pretty well, without learning much of the technical detail and benefits. If you look closely at the rebate you’ll notice it’s only 7mm. This is quite incredible to install a double glazed unit into an original rebate. There was initially concern as to the lifespan of these units. They seem to be holding up pretty well. One common issue is with the heat these units seem to have glass drawn together which results in a rubbing. This effectively sandblasts the centre of the unit leaving a circle of etched glazing. This was in the early days and the issue appears to be resolved now. Here’s is an example of a single glazed sash window that has had the original glass and putty removed, and slim line unit installed in it. For listed property owners, it gives an option that has been missing for many years. Certainly it’s a little on the expensive side, but the manufacture costs and economies of scale are not quite there yet to be a true cost effective solution. Timber sash windows security & hardware. London Sash Window Repairs Ltd provide a wide range of security. To fully understand our service you might like to visit sash window security page. This is a comprehensive resource on the methods in which to keep your home safe. If you’d like to have a go at improving the security yourself, why not visit our page about why high quality sash window security will leave you sleeping peacefully at night.